"We are delighted that Tim Berners-Lee has accepted this appointment," said Professor Wendy Hall, Head of the School of Electronics and Computer Science. "Many of the staff in the School have worked with him on the development of the World Wide Web over many years, and we are now closely involved with the evolution of the Semantic Web, which is Tim's vision for the future of the Web." "Tim's appointment is a fantastic boost to our work here in Southampton," said Professor Nigel Shadbolt, Director of the Advanced Knowledge Technologies Interdisciplinary Research Collaboration, the UK's largest Semantic Web project, funded by the Engineering and Physical Sciences Research Council. "It also enables us to deepen our involvement with both US and European initiatives in this area." The Semantic Web has been described by Tim Berners-Lee as 'an extension of the current web in which information is given well-defined meaning, better enabling computers and people to work in co-operation'. The Semantic Web provides a common framework which allows data to be shared and reused across applications, enterprises, and community boundaries. It is a collaborative effort led by W3C with participation from a large number of researchers and industrial partners. With a background of system design in real-time communications and text processing software development, Sir Tim Berners-Lee invented the World Wide Web in 1989, while working at CERN, the European Particle Physics Laboratory in Geneva. Since 1994 he has been based at MIT, directing the W3 Consortium, the standard-setting body which develops common protocols to realize the full potential of the Web. In 1999 he was named by Time Magazine as one of the top 20 scientists and thinkers of the twentieth century: "From the thousands of interconnected threads of the Internet, he wove the World Wide Web and created a mass medium for the twenty-first century." 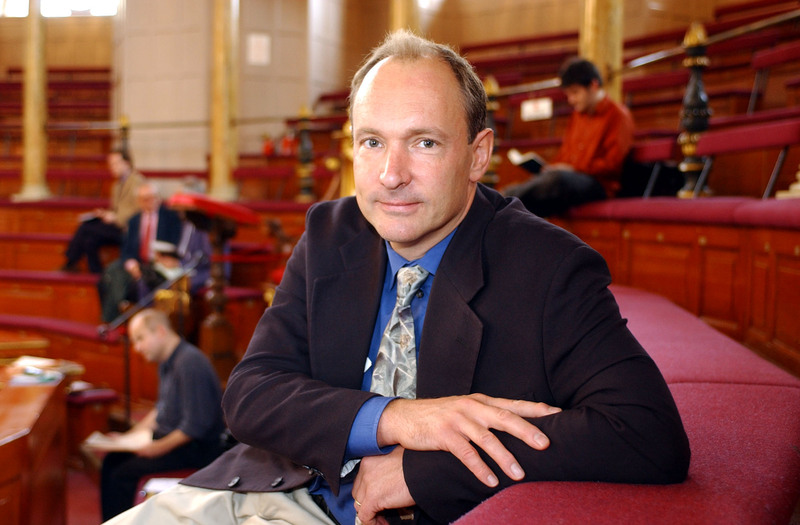 In 1996 the University of Southampton was the first university to award Tim Berners-Lee an honorary degree in recognition of his role in developing the World Wide Web. In 2003 he was awarded a knighthood for his pioneering work on global communications. "Through his vision in inventing and developing the Web and ensuring that it is freely available and accessible for all, Sir Tim Berners-Lee has transformed all aspects of our world," said Professor Bill Wakeham, Vice-Chancellor of the University of Southampton. "I very much look forward to welcoming him to Southampton as a member of our School of Electronics and Computer Science, and to the significant and substantial collaborations that will follow as a result of his appointment." The School of Electronics and Computer Science (ECS) at the University of Southampton is the foremost department of its kind in the UK. It has a worldwide reputation for its research in fibre optics, AI, knowledge technologies, Grid and pervasive computing and agent-based computing.